Reefer madness at the DEA — when will the feds catch up? A federal decision against the rescheduling of marijuana reflects cognitive dissonance between prohibitionists in Washington, D.C., and a majority of Americans who support legalization. The reasoning, as The Washington Post reported, is a “classic bureaucratic Catch-22” — regulations can’t be eased until the Food and Drug Administration determines its medical use, but the FDA can’t properly study marijuana because it is so tightly regulated. It preserved the failed status quo on federal marijuana policy, with only a small tweak to allow more research. Marijuana remains in the same classification as heroin and LSD and is more tightly regulated than prescription opioids, which produced 19,000 overdoses just in 2014, the last year data are available. It is an absurd policy and should be changed. The DEA’s decision perpetuates the cognitive dissonance between the 42 states that have recognized the medical values of cannabis and the federal government. Gregoire and Rhode Island Gov. Lincoln Chafee in 2011 asked for marijuana to be reclassified so it could be prescribed by a physician. Research on the medical value of marijuana has only gotten more persuasive since, despite a stranglehold on that research. The federal government shipped its tiny, official supply of research-grade marijuana grown at the University of Mississippi to just eight researchers nationwide. The DEA Thursday loosened those restrictions on marijuana research, perhaps reflecting the fact that when it comes to medical marijuana, the war on drugs is a lost cause — and the feds seem to know it. At a National Institutes of Health conference in March, researchers presented studies that showed — studies conducted even with the federal restrictions — that cannabinoids, the chemical compounds in marijuana, can help symptoms of epilepsy, multiple sclerosis, post-traumatic stress disorder and can help manage pain. Washington state researchers are well positioned to further that work. The state Liquor and Cannabis Board should help them and hurry up rules allowing universities to grow research harvests. The DEA’s dismissal of that research sets back reforms at the federal level for medical marijuana. But the revolt among the states continues, fueled by the majority of Americans — 58 percent in a 2015 Gallup Poll — who believe not just in limited medical access to marijuana, but in full legalization. Washington has been an instigator, legalizing medical marijuana in 1998 and adult recreational use in 2012. 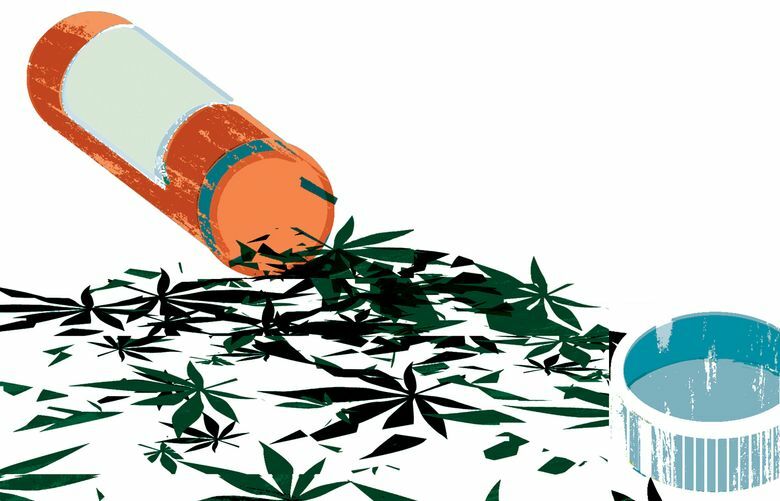 Bureaucratic obfuscation on medical marijuana is a rear-guard action on a fight already lost in the public’s view. Congress must act. End the reefer madness.